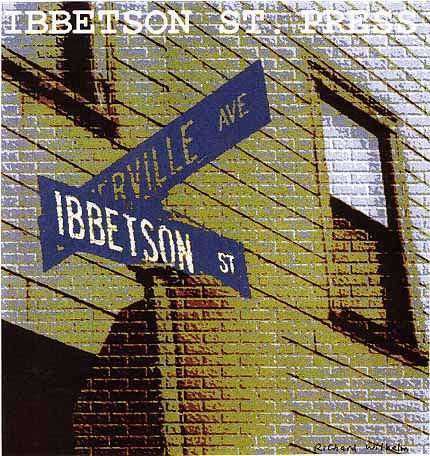 Since 1998, when it was founded at a Bruegers Bagel Shop in Porter Square Cambridge, by Doug Holder, Harris Gardner and Dianne Robitaille, the Ibbetson Street Press has published chapbooks, perfect bound books of poetry, and 41 issues of the literary magazine Ibbetson Street. Over the years the press and magazine has published work by Marge Piercy, Ted Kooser, Afaa Michael Weaver, Kathleen Spivack, Jean Valentine, Cornelius Eady, Richard Hoffman, Jennifer Matthews and many others. The press is now formally affiliated with Endicott College of Beverly, Mass. Join us for a gathering and reading--July 5, 2017--to celebrate its almost 20 years on the Boston area literary scene. Ibbetson Street Press is a unifying force in the Boston poetry scene, and the most viable way for poetry lovers to keep in touch with whats happening. The Ibbetson Street #41 Potluck and Reading will be held on Wednesday, July 5th at the central branch of the Somerville Library, Highland Avenue (next to the high school). The Potluck will be held from 6:00 P.M. to 7:00 P.M.; the reading will be from 7:00 to 8:15.